The SPC 500–1200 Stationary Pipe Cutting machine processes a wide variety of materials, sizes and wall thicknesses, making it suitable for all applications. It comes with oxy-fuel, plasma, marking and CAD-CAM interfaces. 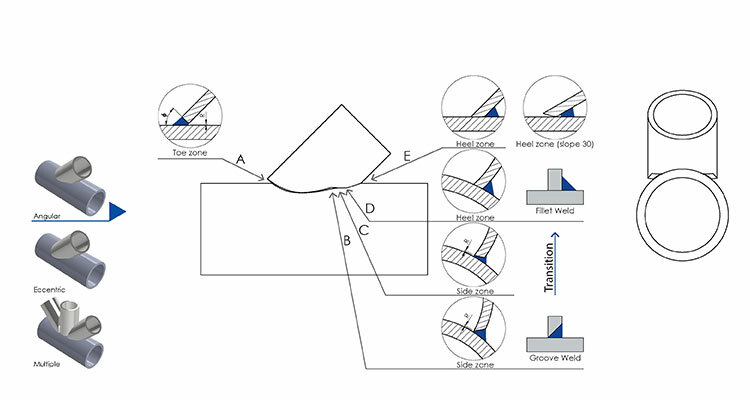 Using skilled welders for laying-out cuts, manual cutting, grinding and is time wasted. These welders are hard to find and a potential bottleneck in your fabrication process. 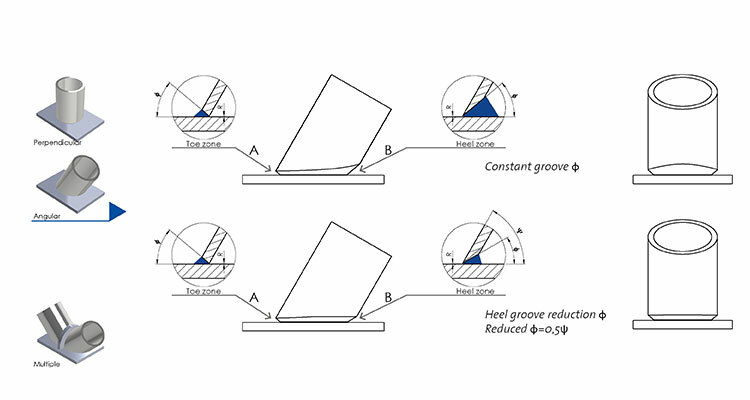 The SPC range automates these processes, allowing welders to do what they do best, welding. Ensuring operator safety while they process tons of steel with thermal cutting is of crucial importance. The confined cutting head, the fume extraction through the pipe and the unique venturi system for rest fumes ensure maximum protection for the machine operator. 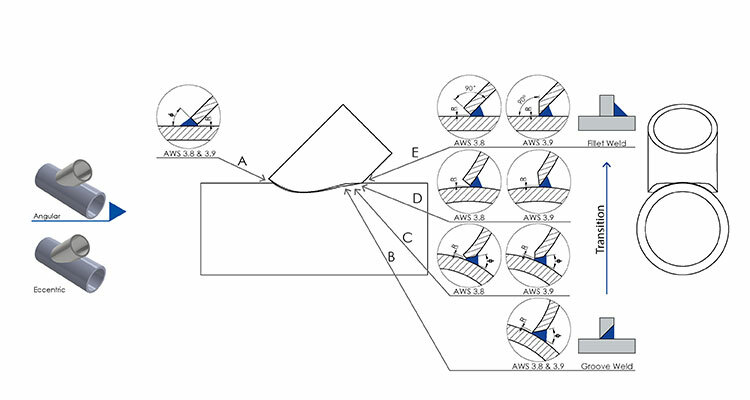 Using data that has already been entered into a CAD model is even more important. The SPC range is equipped with an in-house developed software suite that allows interfacing to any design system generating NC data files. 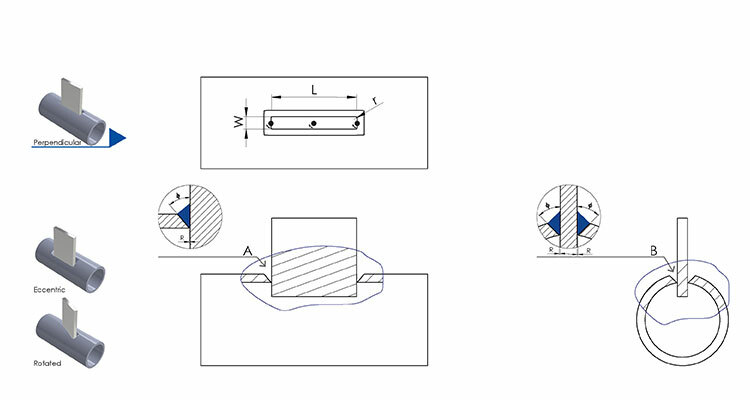 To fit inserted plates at pipe ends or to create intermediate slots. For small sloped and highly dynamic pipe to pipe connections. Easy cutting, fitting and welding. 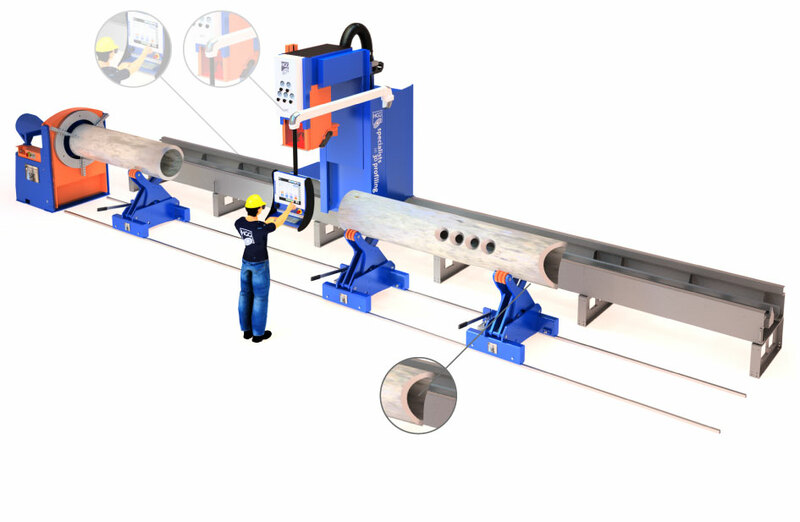 Volumes and pipe sizes differ from project to project, demanding a flexible pipe cutting machine that prevents, machinery from sitting idle in the workshop. Using traditional methods for pipe profiling, a fabricator can typically cut 10-20 tons of pipe per day. With a HGG machine, a fabricator can easily cut over 40 tons of pipes a day. Industry application: pipe profiling for stadiums, bridges, theme parks, expo centers, airport structures, shopping malls, cranes, trusses. HGG’s SPC pipe cutting machine can automate and simplify the way fabricators keep welding booths supplied with enough spools cut to tolerance, preventing skilled welders from wasting their time fitting. Preparing a typical header with 82 beveled holes, is typically reduced from 26 hours to 2 hours. Industry application: pipe profiling for skids, frames, spools, manifolds, pipe lines, headers lobster backs, boilers, nozzles. More and more offshore fabricators are solving their highly deadline-driven production challenges by automating their cutting processes. Manually, a fabricator can typically cut a heli deck consisting of 95 pipes in 240 hours. With a SPC pipe cutting machine, fabricators can cut these same 95 pipes in less than 40 hours. Industry application: pipe profiling for jackets, jack ups, heli decks, support structures, pipe racks, protection frames for subsea manifolds, boat landings. HGG’s pipe cutting machine automate and simplify the way shipyards keep welding booths supplied with enough spools cut to tolerance. 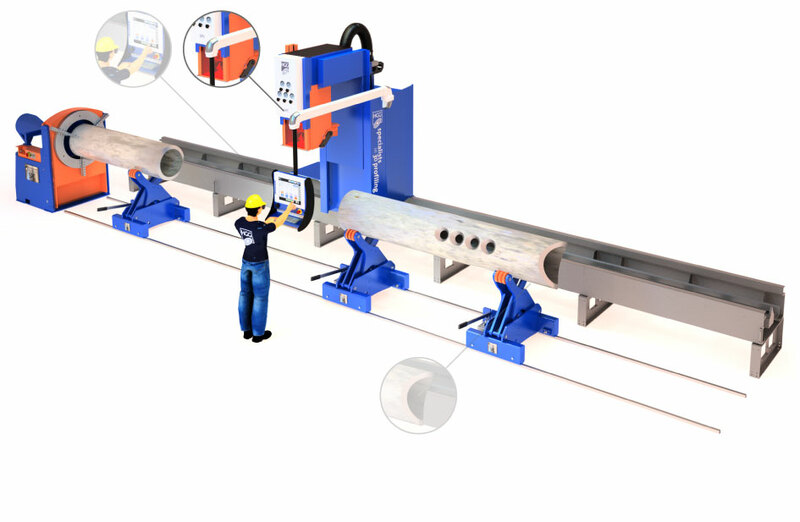 Automated pipe profiling also prevents skilled welders from wasting a lot of time fitting. 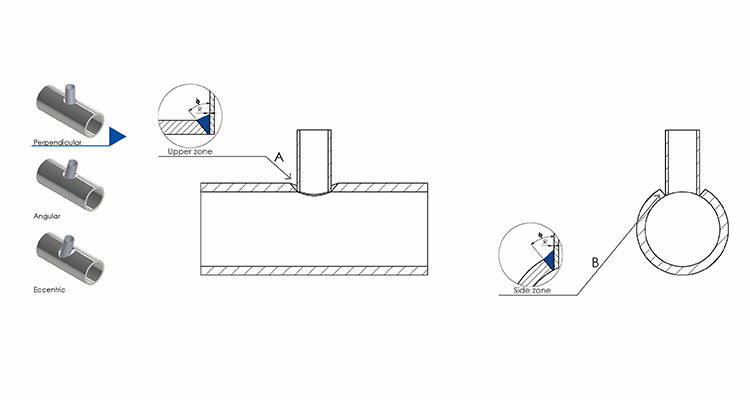 Processing 15 nozzles is reduced from 13 hours to 1 hours, using the SPC pipe cutting machine. 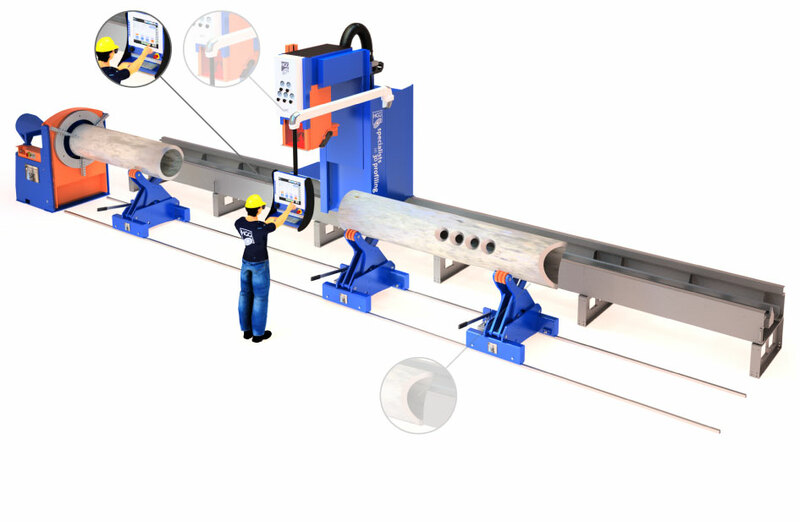 Want to know more about our extremely accurate pipe cutting machine, SPC 500–1200 PT?